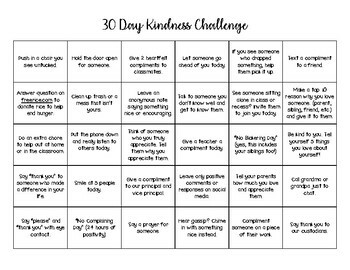 30 days of random acts of kindness around the classroom and school. Good way to start the year, or use it mid-year when some behaviors start coming out. 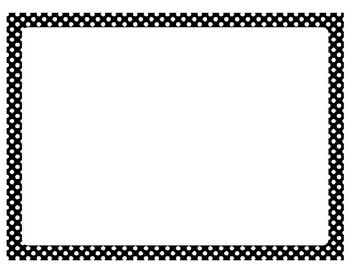 Promotes a positive environment. 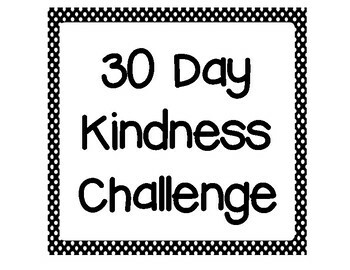 Download includes the kindness challenge, title sign, and border page for writing down the challenge for each day (laminate before using, works best with wet erase marker).